On Thursday, October 12th. another convoy headed off to Mazatlan, Mexico, thanks to the generosity of many municipalities in Southern Alberta who donated retired vehicles to this project. All these retired vehicles will have a second life working in the towns and villages of western Mexico. 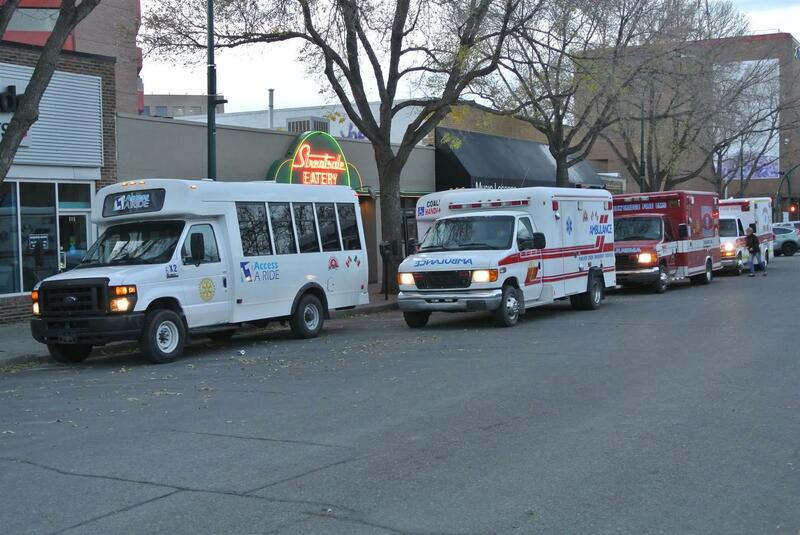 3 Handibuses from the City of Lethbridge obtained by RC Lethbridge Sunrise. 1 Handibus from the Town of Cardston with delivery sponsored by the Henderson family of Cardston in memory of Bev Henderson. 1 Ambulance from the City of Calgary obtained by RC Calgary Fish Creek. 1 Ambulance from the Town of Pincher Creek obtained by RC Pincher Creek. 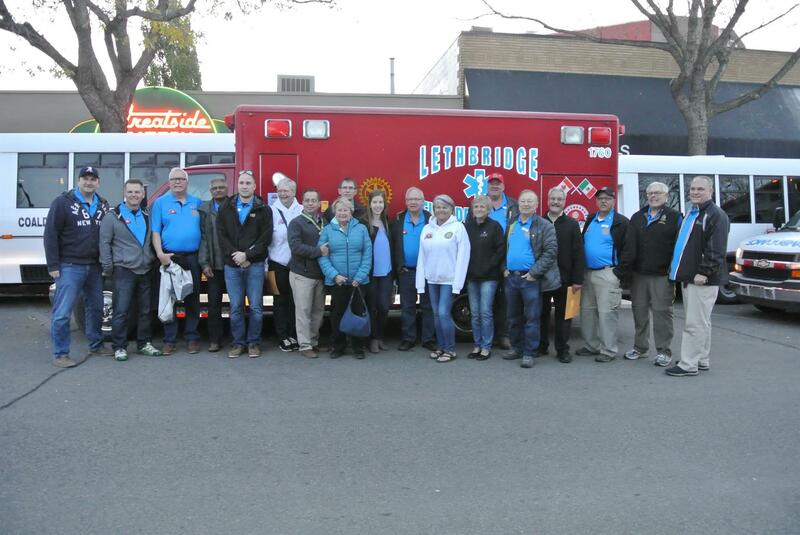 1 Ambulance from the City of Lethbridge obtained by RC Lethbridge Sunrise. All of these vehicles were loaded with stretchers, back boards, turnout gear, cutters, and other useful equipment that the Mexican villages can not afford to buy. Rotarians in Mazatlan have selected the towns and villages that will receive these donated vehicles after sifting through many, many applications. The task of making these selections is left entirely to the Rotarians in Mazatlan, since they speak Spanish, know the localities and can best assess the needs. The training programme has been expanded yet again. This time senior experienced Mexican EMS personnel will be trained to become trainers in their own locale. Alberta training manuals have been translated into Spanish for this task. Two representatives from the truly wonderful Rotaract Club at the University of Lethbridge will be flying down to attend the formal opening of a primary school, for which they financed the construction. Instead of a rickety “school” built of shipping pallets and tarpaulins there is now a solid masonry school with a concrete roof, which is also designed as a hurricane shelter for the local community. The Rotaract Club should be very proud of themselves.